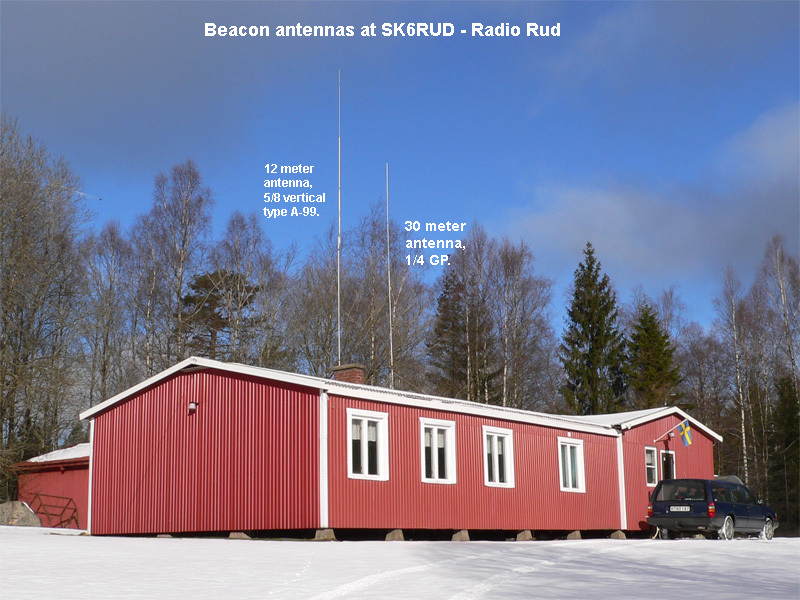 SK6RUD/SA6RR BEACONS - WE SPAN THE GLOBE WITH QRPP POWER! We are very pleased if you make a report below. 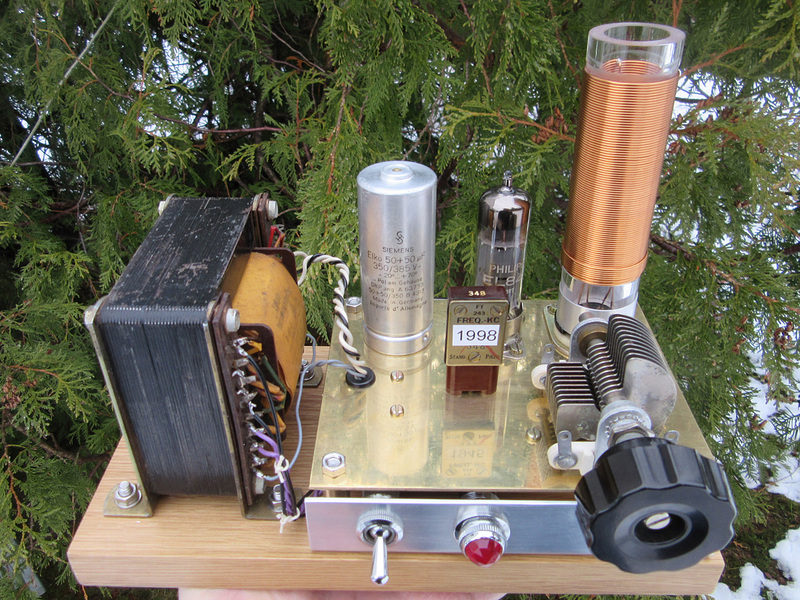 Some transmitters is model "Michigan Mighty Mite". On 630 meter we have about 0.1 w erp to a L-antenna, this equipment is now temporary on air. So far we have 7475 reports in the log, all bands counted. Highscores: 2008-11-04, 500 kHz by AA1A-Dave, 5832 km! 2010-01-11, 10133 kHz by ZL2FT-Jason, 17680 km! 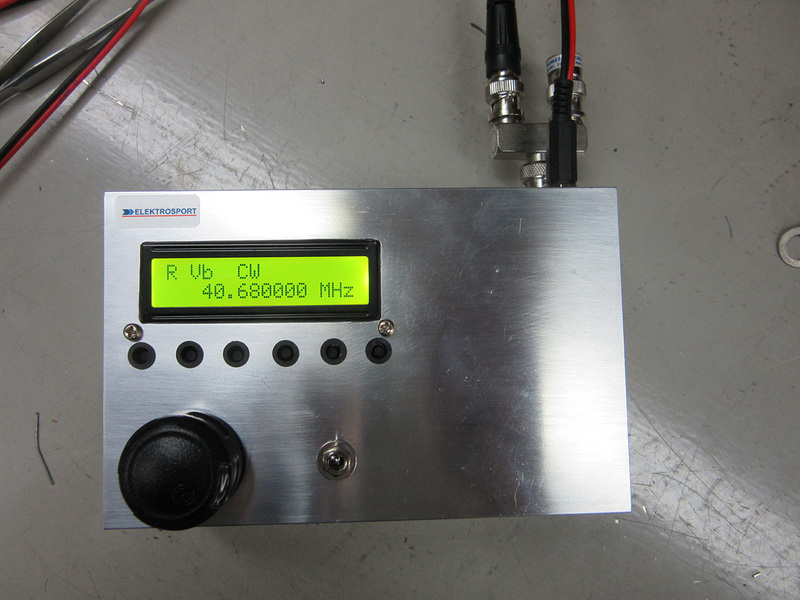 The goal of our radio beacons is to show how, with a very low power (0.5 watts), it is possible to establish contact over both short and long distances when propagation permits. For the Radio Amateur, it's not neccessary to have an answer to the question "why did you do it? ", the fact that something poses an interesting technical challenge is often reason enough! F5MVB Phil 15/04/2019 19:00 1 10 53 JN06VB 1464 antenna end fed 21m long. qth Chateauroux dept 36,central France. IK2GZU Maurizio 13/04/2019 16.30 2 10 559 JN45XN 1325 Antenna: dipole at 13 mtrs. F5PON Michel 11/04/2019 19H12 1 10 559 IN95SG 1624 73? Some qsb. RIG IC706 Ant :DELTA LOOP 80 meters! E78CB Srdjan 08.04.2019 1745 2 10 549 JN92ER 1670 Clear signal in East Herzegovina on my old Atlas 210x. Ant is Inv-V for 30m E-W, at the top of the house (abt 8m up). Congrats! S58DX Nermin 04.04.2019. 1052 168 10 339 JN65TW 1269 Today sigs, very weak, deep qsb, fading at times..Bandnoise S1, SignalS 1-2, no preamp, Bandwith 500 Hz, Rig TS-2000, Ant W8JI Windom Up 23 meters, oriented N/S. R3ET Max 02.04.2019 15:07 2 10 589 QSB KO85TO 1523 FB signal!! FT-817/GP. RW3ADB Roman 2019-03-31 14:37 1 10 539 KO85RO 1513 Sirio-CB 5/8 + LDG AT100Pro, FT897D. SM6YOR/CT3 Torleif 24 mars 2019 17,15 1 10 122 IM12MT 3537 Very very weak signal, but a signal in Ponta Delgada, North Madeira, 963 Km South West Lisbon, Portugal. RX:Icom IC 706. Antenna: 125 cm long Hustler vertikal for 14 MHz. S58DX Nermin 26.03.2019. 1603 168 10 559 JN65TW 1269 Solid signal varying from S3 to S5. Bandnoise S1, no preamp, bndwth 300 Hz. Rig Knwd TS 2000, Ant W8JI windom, up 23 mtrs, oriented N/S. S57UW Albert 26.mar.19 16.45¸ 4 10 579 JN86EN 1222 Hrd on old TS-830s and balkony vertical.GL! Albert in Velika Polana. PF5X Enno 22-mar-2019 10:15 1 10 549 JO21WR 769 Little QSB. Elecraft K3, 1/4 wave vertical at border of lake (free take off to SM). G4USI Daimon 18/3/18 0900 1 10 438 IO81IA 1259 QTH Wiveliscombe, Somerset Yaeus FT891 G5RV antenna Interesting - my first spot - thanks and good luck! SV1QEK Othon Saridakis 16/03/2019 1842 1 10 559 KM27AX 2302 Strong Signal ON 10.133 MHZ 559. At 18:42 UTC.I will Try QSX ON 479/1998 KHZ Also.Rig FT-950.Ant.Long WIRE 25 mtrs.My QTH Artemis Greece. S58DX Nermin 16.03.2019. 1705 168 10 559 JN65TW 1269 Light QSB on a signal varying from S3 to S5. Bandnoise S1, no preamp, bndwth 500 Hz. Rig Knwd TS 2000, Ant W8JI windom, up 23 mtrs, oriented N/S. EA2DPA RAUL 10-03-2019 19:29 1 10 559 IN83MG 1916 DELTA LOOP 1 ELEMENT FOR 40 MTS. S58DX Nermin 02.03.2019. 1110 168 10 449 JN65TW 1269 Rather weak signals with QSB. Signal strength S2/3 on S meter. Bandnoise S1.No preamp. Bndwth 400 Hz, Rig Knwd TS2000, ant W8JI as inverted Vee, direction N/S up 23 meters. I4GAD ENRICO 26/02/2019 06:48 3 10 579 JN54NL 1435 very good sigs on my rotary dipole toward noth. S58DX Nermin 25.02.2019. 1107 168 10 539 JN65TX 1264 Fair signals with QSB. Signal strength S3/4 on S meter. Bandnoise S2.No preamp. Bndwth 500 Hz, Rig Knwd TS2000, ant W8JI as inverted Vee, direction N/S up 23 meters. RA3IM lev 24.02.2019 11.10 5 10 339 KO56TL 1138 YOUR SIGNALS ABT 339-449 QSB VY 73! G0MLM Tim 21/2/19 1530 1 10 489 IO92KX 1010 Received on Ft818 with indoor home-brew buddy stick. Signal quite readable but With deep QSB at times. S58DX Nermin 04.02.2019. 1142 168 10 569 JN65TW 1269 Profound QSB on S2 to S6 signals. Bandnoise S1.Bndwth 500 Hz, No preaamp, rig Knwd TS590SG, ant W8JI Windom up 23 mters, oriented N/S. S57RW Andrej 31.01.2019 07:25 12 10 559 JN65UM 1316 Good signal today. 9A6DR Dubo 25.01.2019. 14:40 2 10 579 JN95LI 1397 Rig Ft840 es ant home made DIPOLE on the 9mt high. S58DX Nermin 22.01.2019. 1130 168 10 569 JN65TW 1269 Good signals with QSB up to 569.Band noise S2, Bndwth 400 Hz, no preamp, Rig Knwd TS590SG, Ant. W8JI Windom up 23 meters, oriented N/S. UR1131SWL Vladimir 16.01.2019 14:00 4 10 599 KO50HK 1387 rx=tecsun pl-600 telescop 1m antena very strong signal even on the built-in antenna ! S58DX Nermin 31.12.2018. 1030 168 10 569 JN65TW 1269 Good signals with QSB up to 569.Band noise S1, Bndwth 500 Hz, no preamp, Rig Knwd TS590SG, Ant. W8JI Windom up 23 meters, oriented N/S. DL6KW Lutz 26.12.2018 09:10 1 10 589 JN59BD 929 Super Signal. ufb!!!! SP5BTN Andy 24-12-2018 11:14 6 10 569 KO02MF 772 Great signal! DH3MS Stefan 20.12.2018 12:57 1 10 559 JN58LN 985 Fine signal in bavaria! Merry christmas and a happy new year! S58DX Nermin 18.12.2018. 1319 168 10 569 JN65TW 1269 Solid signals with QSB up to 569.Band noise S1, Bndwth 500 Hz, no preamp, Rig Knwd TS590SG, Ant. W8JI Windom up 23 meters, oriented N/S. DK9PS Ralf 16.12.18 09:30 6 10 559 JN39PR 923 Some fading S 3 to S 5. Listened for 15 min. S57RW Andrej 11.12.2018 07:50 12 10 559 JN65UM 1316 Solid 559. S57RW Andrej 09.12.2018 07:28 12 10 579 JN65UM 1316 Strong stable signal today morning. S58DX Nermin 05.12.2018. 1046 168 10 559 JN65TW 1269 Fair signal with slight QSB up to S5 on S meter.Band noise very low S1.No preamp on rig, Bndwth 500 Hz, Rig KnwdTS590SG, Antenna W8JI Windom up 23 meters, oriented N/S. YO3DAC Iulian 26.11.2018 21:37 1 10 579 KN34CK 1706 Loud and clear with a bit QSB. IC-7300 with Noise Canceller connected to two Vertical Delta Loop antennas. PB2JJ Jasper 26-11-2018 9:26 2 10 339 JO31BI 796 Very weak signal but strong qsb, partly copyable. S58DX Nermin 26.11.2018. 0632 168 10 559 JN65TW 1269 Fair signal with QSB up to S3 on S meter.Band noise rather high S2/3..No preamp on rig, Bndwth 500 Hz, Rig KnwdTS590SG, Antenna W8JI Windom up 23 meters, oriented N/S. YU5RY Boban 11/25/2018 23:09 1 10 599 KN04QM 1542 Very strong and clear signal. Home made GP antenna 7/10/14 MHz.QTH is Kula near YO border (30km). 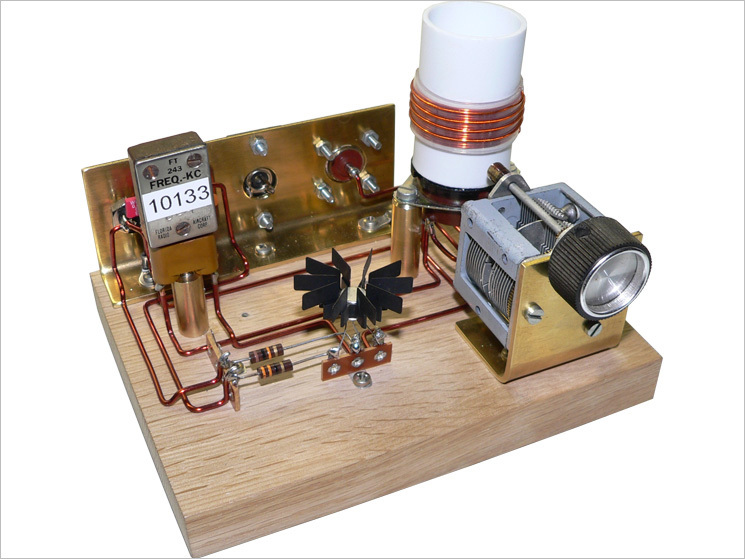 G0RAX Richard Preston 16/11/2018 1315 1 10 518 qsb IO83XW 1006 Icon ic738 ant half size g5rv with coils for 80m. Qth Skipton nr Leeds. S58DX Nermin 05.11.2018. 1120 168 10 569 JN65TW 1269 Solid and stable signal. Bandnoise S 1/2. 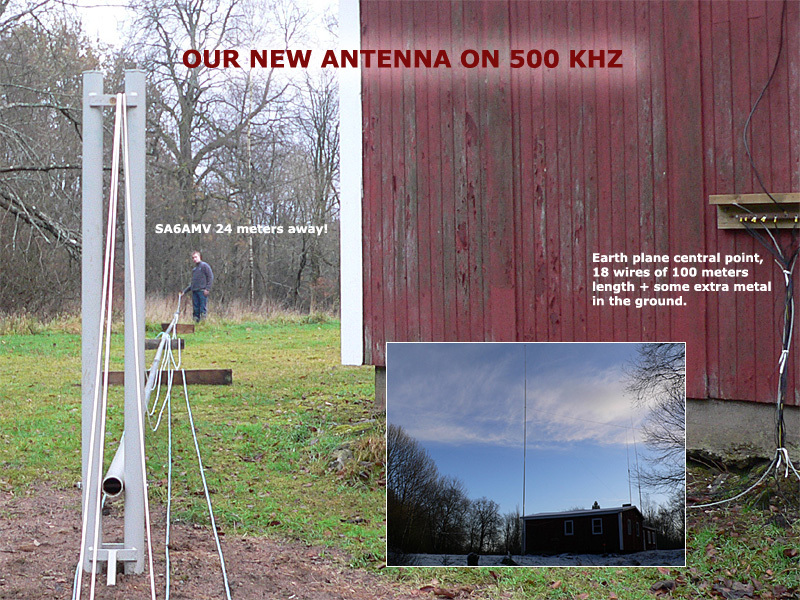 Bandwith 500 Hz, no preamp, Rig Knwd TS590SG, ant W8JI windom, up 23 meters, oriented N/S. IZ1ANZ Mark 04/11/18 08:43 1 10 589 JN45FH 1371 solid signal on 2 elem yagi @10m Elecraft K3S + microkerIII NWest Italy. 73! F4HUW herve 27 october 2018 17:07 1 10 598 IN87JP 1524 Yaesu 857 , long wire ( 54 m). QTH Lorient , Bretagne. DB2HTA Herby 25.10.18 11:50 1 10 457 JN58RD 1027 Great, thank you! ON4UP Peter 21/10/2018 1509 1 10 449 JO20GV 898 Rig is QCX; antenna inverted V.
S58DX Nermin 21.10.2018. 1108 168 10 569 JN65TW 1269 Fine signals today with slight QSB. Bandnoise S1/2, sig. S6 on Smeter. Bandwith 400 Hz, no preamp, Rig Knwd TS590SG, ant W8JI Windom up 23 meters, oriented N/S. UR3QX Geno 13.10.2018 16:25 1 10 569 KN77OU 1826 Regards. G3WYW Paul 9th October 2018 15:21 3 10 569 IO91JJ 1123 FT1000MP MK5 Aerial is 80M End Fed Half Wave at 25 feet. QTH is Thatcham in Berkshire. Been listening for 10 minutes and signal is growing stronger every time. UB1AHY Konstantin 07.10.2018 11:17 1 10 599 KO67FP 1166 ant "inv V"
I4GAD Enrico 08/10/2018 08:00 3 10 589 JN54NL 1435 K3 Elecraft ant 3 El Ultrabeam (2 el on 30m full sized). RRig at 1000 meters above the sea level operated remotely. F6BUG Michel 07 10 2018 09:00 3 10 539 JN08WU 1192 Rotary magnetic loop 1 meter diameter at 2 m above ground and TS 590 sg. 40 km west of Paris city. 102 m ASL. S58DX Nermin 04.10.2018. 0919 168 10 559 JN65TW 1269 Fair signals this morning. Noisy band, up to S2. Bndwth 200 Hz, no preamp, rig Knwd TS590SG, ant W8JI windom up 23 meters, oriented N/S. I5GJK Fabio 01/10/2018 20:01 1 10 559 JN53MW 1496 Little qrm, rig icom ic 775, my antenna vertical multiband, qth nr. Florence. F6GLZ Jean-Claude 29/09/2018 16:00 2 10 579 JN37SO 1140 Constant signal of 579. S57RW Andrej 29.09.2018 07:15 12 10 579 JN65UM 1316 Good signal today. S57RW Andrej 27.09.2018 08:05 12 10 559 JN65UM 1316 Occasionally picks to 559. Rest of the time audible at level of the noise. S57RW Andrej 26.09.2018 07:35 12 10 569 JN65UM 1316 Good signal with some QSB. IK1WJQ Emilio 26/9/2018 7,25 2 10 5 8 9 JN44DJ 1474 Vy gud condx 73s Emilio. IK1WJQ Emilio 25/9/2018 16.00 2 10 5 7 9 JN44DJ 1474 My ant 25m fed abt 1/4 Up 13m rtx old ft277 modification. Ciao 73s Emilio ik1wjq ex i1kib. S58DX Nermin 25.09.2018. 1043 168 10 559 JN65TW 1269 Fair signals today, band noise S2 on S meter, signals between S4 to S5. Bandwith 400 Hz, no preamp,Rig Knwd TS590SG, ant W8JI Windom up 23 meters, oriented N/S. SWL-IT9 Gabri 23 9 18 11.24 1 10 112 NOTOSI -8501 Dipole inverted v-yaesu ft450d.many qsb. S58DX Nermin 12.09.2018. 0926 168 10 549/569 JN65TW 1269 Solid signals this morning, QSb from S2 to S6, bandnoise S2, bandwith 400 Hz, no preamp, Rig Knwd TS590SG, ant W8JI windom 23 mtrs up, oriented N/S. 9A2V Vel 2018-09-10 16:12 3 10 599 0 Drake TR7,Inverted Vee. M3PMG Dave 05/09/2018 1230 1 10 559 IO93TS 920 Nice signal. Easily readable. No QRM. Some QSB. Received on QRP Labs QCX 5 watt transceiver. 15 meter end fed long wire antenna. S58DX Nermin 03.09.2018. 1417 168 10 579 JN65TW 1269 Strong sigs, with slight QSB. Bandnoise S2,no preamp,bndwth 500 Hz, Rig Knwd TS590SG, ant. W8JI Windom up 23 meters, oriented N/S. GM0HUU Steve 02/09/2018 14:46 2 10 549 IO75SU 1070 Some QSB. Signal RST 439 to 559. Rx Flex-1500. Ant half-G5RV N/S at 10m AGL. ON5JD Jan 02/09/2018 1015 4 10 4 3 6 JO20RX 855 rig TS590 Ant Windom 15 mtr h. QTH Genk Lmb. G7OGX CHRIS 31 8 18 2100 3 10 577 IO70SM 1358 SOME REGULAR QSB BUT NEARLY ALWAYS AUDIBLE TRANSCEIVER FLEX 5000A END FED LONG WIRE FOR 8 BANDS. MY FREQUENCY READS 10.133.110 MY QTH 1,000 ASL. IZ4ISF Dave 31/08/18 20:05 7 10 559 JN54SJ 1442 Rig: Yaesu FTDX3000 Ant: Fishing pole 10 mtrs long on the balcony. QTH: Castel San Pietro. DL4WF Walter 24.08.18 19:00Z 1 10 599 JN58RG 1013 very strong Signal reveiced with indoor-Antenna for 10m. Rig: Yaesu FT-991A QTH: Near Munich, South Germany. S58DX Nermin 22.08.2018. 1415 168 10 539 JN65TW 1269 Rather noisy band today. Bandnoise S2/3 signals with slight QSB S3. Bandwith 250 Hz, no preamp, Rcvr SDR1Play with Knwd TS590SG, antenna W8JI Windom 23 mtrs up, oriented N/S..
DK6XM Egon 22.Aug.2018 8h45 1 10 559 JO43SW 433 QSB S2 - S5 Sony Radio IC7600 in a Motorcar Ant 2m on the Grund. ON4SU Patrick 19/08/2018 14:27 1 10 549 JO11VB 913 Elecraft K3, 2*10m dipole @ 9m high, with open feeder to remote balanced tuner. QTH is Gent. G4VSQ/M Al 16-8-18 1500 1 10 569 IO91KM 1109 Received with a good signal in my car. Using and FT-857 with an ATAS-120A HF aerial on the car boot. Signal faded down to 519 at times. YO6EX Sico 14.08.2018 1730 3 10 55-89 KN26EE 1467 FT-1000MP Mark-V Field, ant: horizontal Vee, 2x7m, up 30m. S58DX Nermin 09.08.2018. 0825 168 10 539 JN65TW 1269 Fair to weak signals this morning.Bandnoise S1/2 Signals on S meter S 2/3. No preamp, bandwith 500 Hz, Rig Knwd TS590SG, ant W8JI windom up 23 meters, direction N/S. SP209170 Patryk 22.07.2018 11:51 1 10 568 JO93TR 584 Antenna Long Wire 41,5m; RX: AOR AR-7030; QTH: Bukowiec island on Jeziorak Lake. CT7ABE João Fragoso 2018-07-18 20:40 1 10 549 ES IM58KS 2608 Heard in Lisbon, near International airport. Signal sometimes weak. ON5SD Jos Lampaert 17 juli 2018 14:10 1 10 529 JO10SX 931 Installed a home made 10m dipole , on 2 m above ground HI. Just to know how condx are on 30m. Some slow QSB . Transmitter Yeasu FT-1000Mp . Wx: here very warm HI 28 ° C.
G3YTN Roger 2018-07-14 09:45 1 10 569 IO93HW 968 Wetherby Nr Leeds Dipole at 7m. YO9AYN Ion 7/7/2018 17:18 1 10 539 to KN24SW 1632 FT-920 K9ay no ant preamp. Vy gd sigs . YO2LC Vali 02.07.2018 23.20 1 10 559 KN04RU 1509 RX on long 325m beverage to west. TF3Y Yngvi 01/07/2018 22:55 1 10 569 HP94BD 2001 Upgraded K3. GP antenna. G3XBI PETER 3O/06/2018 21:46 1 10 589 IO81MF 1227 SDR RX end Fed 132 ft Wire 9:1 Balun. Good signals for over one hour. 73 from Somerset England. S58DX Nermin 30.06.2018. 1607 168 10 569 JN65TW 1269 Mostly fair signals today. Bandnoise S2/3, Signals S2 to S6 on S meter. No preamp, Bandwith 500 Hz, Rig Knwd TS590SG, ant W8JI windom 23 mtrs up, direction, N/S. ON2HF Peter 30-6-2018 11:21 1 10 559 JO21LJ 835 Portable station. FT-897 with Dipole @ 7m above gnd. SP2FAP Sylwester 24.04.2018 04.50 1 10 599 JO94RG 535 Very fine ang strong signal in North of Poland. GD6XHG/M Ed 21/6/18 12:00 1 10 558 slo IO74SD 1137 Received using 40m mobile antenna on vehicle roof. OM4ANO Juraj 2018-06-17 20:09 5 10 549 JN98GR 1029 RIG: IC718., ANT: MLA 50cm dia., RST: 549 (Signal leakage occasionally, otherwise excellent). TNX! GW0TQM /P Carl 15/06/18 14:58 1 10 529 IO72WU 1186 I was /p with Mp1 portable whip antenna on coast near town of Harlech in West Wales. Rig is Sg2020. I am sitting outside a tent looking at the sea. R1AR Max 15.06.2018 0600 1 10 569 KO59DW 1044 Strong sign. Good propagation today. G4TGJ Richard 10/6/18 11.20 1 10 589 IO93BW 997 FT817ND with a home made 30m GP on a Sotabeams 10m pole in the garden. S58DX Nermin 22.05.2018. 1915 168 10 559 JN65TW 1269 Profund QSB on signals from S3 to S5.Bandnoise S3, no preamp, Bndwth 400Hz, Rig Knwd TS590SG, ant Windom W8JI up 23 meter, wire directons S/N. TF3OM Agust Bjarnason 2018-05-20 0900 3 10 539 HP94UH 1927 Kenwood TS-480 in a summer house near Geysir geothermal. RemoteRig connected to home QTH near Reykjavik. Antenna EFHW 80-10. Signal was weak, but stable with little QSB. YO3FFF Cristi 13-05-2018 14:23 2 10 589 KN34BK 1703 Very good beacon. Some QSB but strong signal. S58DX Nermin 06.05.2018. 0917 168 10 449 JN65TW 1269 Weak and low in strength this morning. Bandnoise high as signal. No preamp, bndwth 400 Hz. Rig. Knwd TS590S. Ant doublet inmverted Vees 40/20. Up.8 mtrs, direction W/E. S58DX Nermin 01.05.2018. 1653 168 10 569 JN65TW 1269 Rather noisy band today, Sigs are S5/6 on Smeter, noise S4/5.No preamp, bndwth 400Hz,Rig Knwd TS590SG, ant W8JI Windom, oriented N/S up 23 meters. OM4ANO Juraj 2018-04-28 10:20 5 10 549 JN98GR 1029 RIG:IC718,ANT:MLA 50CM.TNX! G8SYE Nick 25/4/18 15.13 1 10 579 (wi IO92FM 1062 FT817 40m end fed. Temp antenna. Located 183m asl. F1EST Eric 21/04/2018 19h44 1 10 599 JN23TQ 1600 59+5 dB ! YO6PIE DRAGOS 17.04.2018 16:30 1 10 569 KN26QW 1432 QSB on half emission, but intelligible. RIG homemade SDR Avala 2, antenna 22 meter Longwire at 9 meters height from ground. S58DX Nermin 16.04.2018. 1006 168 10 539 JN65TW 1269 Weak but readable with QSB, band noise high up to S2/3.S meter reading S2/3. No preamp, Bndwth 400 Hz, Rig Knwd TS590SG, Ant W8JI windom 23 mters up, Antenna oriented North/South. S53RA Gregor 05.04.2018 1328 2 10 559 JN65TM 1315 RIG: Yaesu FT2000, ANT: 7m of wire from balcony to tree. Some QSB but overall good stable signal. EA1ARW Luis 01-March-2018 18: 36 3 10 559 IN82JI 2015 Antena: 75m long aire. QTH: countryside área. No RF noise. S57RW Andrej 01.04.2018 13:30 12 10 539 JN65UM 1316 Solid copy withsome QSB. Rx antenna small loop. DL2SBA Dietmar 2018-04-01 12:23 3 10 539 JN48OQ 993 A little bit of QSB but good readability here in southern part of DL. Antenna is crossed-loop 2x1m with LZ1AQ amplifier. G4GZG Lawrence 31/3/2018 10.00 4 10 559 JO01EL 1036 Good readable signal in fairly poor condx. Slow QSB dwn to S3. S58DX Nermin 31.03.2018. 0729 168 10 569 JN65TW 1269 Solid signals with QSB. Band very noisey up to S3/4. S meter signal strength S5/6. No preamp, Bndwth 500 Hz.Rig Knwd TS590SG, ant W8JI Windom up 23 meters, direction N/S. S58DX Nermin 30.03.2018. 1147 168 10 559 JN65TW 1269 Qsb with fading as well. Bandnoise S2/3, S meter S5. No preamp, Bndwth 500 Hz, Rig Knwd TS590SG, ant North/South oriented, W8JI Windom, up 23 meters. OE4AAC Erich 29.3.2018 15.15 1 10 599 JN86BW 1178 QSB 539 to 599. RX IC-775DSP, ant. rotary dipole, full size at 25 m, direction north. IT9BXR sal 22 march 2018 16.40 1 10 569 JM68SB 2144 great! HB9FAB Pat 20 March 2018 1652 1 10 569 JN46LA 1287 RTX: IC-7300, ANT: Delta loop (160 m). QTH NR Lugano (TI). Best 73 ES CONGRATS! DL3OCF Gero 19.03.2018 08:35 2 10 589 JO51KX 610 Very nice signal here in the middle of Germany over the distance from 611 km. I3GVN Gianni 18.03.2018 09.00 6 10 559 JN65CS 1287 Antenna dipole for 30m. Received ecellent signal. S58DX Nermin 13.08.2018. 1247 168 10 559 JN65TW 1269 Solid signals with slight QSB. S5 on meter, Bandnoise S1/2, no preamp, Bndwth 400 Hz, Rig Knwd TS590SG,ant.W8JI Windom 23 mtrs up, orienation N/S. DF4OR Ekki 2018-03-11 10:28 3 10 519 JN49CD 962 noisy band, condx low, signal weak but readable. OH7GYN Pekka 07032018 0905 1 10 549 KP52LQ 1161 Elad FDM-Duo SDR, ZS6BKW multiband dipole up 13 m.
G4RGA Jim 03-03-2018 1621 1 10 559-579 IO80JX 1258 Perfect copy. Good steady signals. S58DX Nermin 27.02.2018. 1648 168 10 579 JN65TW 1269 Very good and stable signals this afternoon. S7/8 band noise S2, Bndwth 500 Hz, no preamp.Receiver SDR1Play, antenna W8JI Windom, up 23 meters high, oriented north/south. S58DX Nermin 25.02.2018. 1110 168 10 569 JN65TW 1269 Signals with QSB from S2 to S6. Bandnoise S2.Bndwth 500 Hz, no preamp, Rig Knwd TS590SG,Ant W8JI Windom up 23 meters, direction North/South. SM6YOR Torleif 25th Feb 2018 0153 2 10 519 JO67KR 42 Weak but constant signal here i Borås 24/7. RX: Icom IC 7300 Ant:Loopantenna 83 meter long. SM4FPD Roy 2018-02-21 17.10 2 0.5 559 JO69PL 238 Now much stronger. Using IC-756PROIII. 15 m shorted ladder line vertical and 80 m long top hat. Some Fading for the moment. SM4FPD Roy 2018-02-21 16.35 2 0.5 325 JO69PL 238 Using IC-756PROIII, dipole in T configuration. 15 m vertical shorted ladderline and 80 m long Top hat. SM4UKU Jan 20.02.2018 1955 1 0.5 559 JO69BM 245 KiwiSDR with active beverage pointing 300 degrees (almost opposite direction). The antenna is only 160m long so not optimal for this band. Some QSB. During daytime it was very weak. S59DM Dejan 2018-02-17 16:30 1 10 559 JN76MG 1240 Rig: Kenwood TS-590. Ant: OCF dipole for 20m inside the roof of a house, 8m above ground. QTH: Parizlje. Congratulations! Very nice signal for QRPP! Keep up the good work! TF3OM Agust 2018-02-16 16:40 3 10 569 HP94UH 1927 TS-480SAT near Geysir geothermal area remoteley operated from home 100km away near Reykjavik with RemoteRig. Antenna EFHW 80-10. UY2VC Vlad 15.02.2018 16.09 3 10 549 KN69OB 1627 ic-756 pro2, ant-dipole GL tnx 73!! F5DE Bernard 2018/02/15 13:30 2 10 559 JN05DP 1559 fb signal in SW France. rig : FT840 and multiband trap GP antenna. 73 de Bernard, F5DE. SM4UKU Jan 13.02.2018 13:25 2 1.9 599 JO69BM 245 Icom IC-735 with dipole antenna. Good signal, just a little QSB. S58DX Nermin 12.02.2018. 1154 168 10 559 JN65TW 1269 Heavy QSB on signals. From S 3 to S7/8, average on S meter S5. Band very noisy up to S5/6. Preamp on, bndwth 300 Hz. Rig Knwd TS590SG, ant W8JI Windom 23 mtrs up, direction North /South. SM4UKU Jan 08.02.2018 0848 2 1.9 589 JO69BM 245 Icom IC-703 with active beverage antenna, 160m long in opposite direction. Very little QSB. HA9HAF9A / HA5CBM Miklós 2018. II. 6. 21:54 1 1.9 523 JN97MP 1155 R-399 Katran russian military radio (NCO Academy Hungarian Army) and home IC-751. Antenna is R-399 two long dipole, IC-751 vertical by HA5IW. LA4NJ Arnfinn 01.30.2018 18.10 1 0.5 559 JO28UW 455 Collins 51s1 Marconi Tee 5m. G4TMV Alan 29-01-2018 0240 3 0.5 539 IO83VP 1032 SDRplay RSP-1 and 30m Long wire with Wellbrook Universal Magnetic Balun. Location Lancashire, UK. IZ0GUG Giuliano 4-7-2017 17:56 1 10 446 JN61EW 1713 Receiver Icom IC-R71E,45m wire antenna,QTH Rome. OH3LMN Jarno 26.1.2018 2019 1 0.5 599 KP11WM 774 Beverage 830m@278deg & Elad SDR. MI3LDO Paul 24/1/2018 2254 1 0.5 569 IO64GG 1309 Great signal for your power output. My RX: Elad FDMS2 with Wellbrook Loop antenna. SM5INC Johnny 2018-01-24 20.55 4 0.5 539 JO89PO 359 Beacon "MF" (RUS) on 478.0 kHz audioable here with approx equal signal strength. DE7RXA Ralf 23.1.2018 2303 1 0.5 549 JO62KI 555 QTH Berlin, remote controlled RX in JO62KI. Cloud IQ and active ant. SP3HSZ Daniel 23-01-2018 19.16 2 0.5 559 JO81HU 656 TS-870,RX Antenna dual T-type. SM7NCI Leif 2018-01-23 1800 2 0.5 539 JO76AB 160 My rig Telefunken LwEa 1942. S58DX Nermin 23.01.2018. 0846 168 10 569 JN65TW 1269 Solid signals with slight Qsb. Band noise S1, signals S 5/6. Preamp on, Bndwth 500Hz. Rig Knwd TS-530SP, ant double Inverted Vees 40/20 up 10 meters, direction East/West. S58DX Nermin 22.01.2018. 1212 168 10 569 JN65TW 1269 Solid signals today. S5/6 on S meter. Bandnoise S 2/3. Bndwth 400 Hz, no preamp, Rig Knwd TS590SG, Ant W8JI Windom, 23 mtrs up, direction North/South. LA8UU Odd Kristian 2018-01-21 20:56 1 1.9 539 JO59DN 288 IC-7100, LZ1AQ loop 0.7m dia. 5P1CC Claus 21-01-2018 15.45 1 1.9 569 JO55PH 246 excellent copy here in OZ. Rig TS570 Antenna :Inverted dipole up 11m going N/S. Pse qsl vis e-qsl. SM7FCN Björn Fagerholm 2018-01-18 1820 2 1.9 579 JO87GI 220 QTH Figeholm. Rig IC-7410, antenn 160 m tråd. Mycket ren och fin ton från QRP-sändaren, långsam QSB på signalen. S58DX Nermin 17.01.2018. 1150 168 10 539 JN65TW 1269 Stable but rather weak, sigs on both receivers. Knwd TS590SG and SDR1Play. Bandwith 400 and 500 Hz, no preamps, band noisy. Ant W8JI Windom 23 mtrs up.. This list contains the last 500 records, if you want to see the complete log, please choose one of the buttons above!